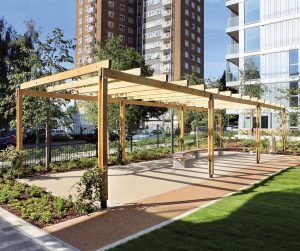 Queens Park Place, North West London, is a new residential development offering modern apartments and penthouses designed for metropolitan living in a Manhattan style. 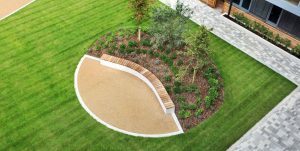 This contemporary development required quality landscaped areas with secure cycle parking to link effortlessly with the building’s facade. 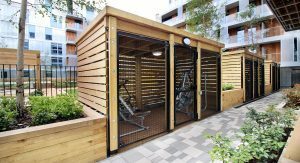 Langley Design provided a set of sedum roof cycle shelters, that not only fulfilled the planning requirements, but also provided a secure cycle parking facility that enhances the courtyard space. The green roofed timber shelters link the cladding of the building to the external space and provide a soft transition when viewing from the courtyard from the surrounding balconies. 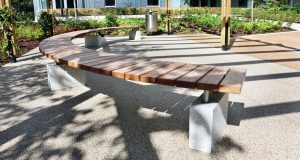 To compliment the cycle parking facility a range of curved benching units were also fitted to invite residents to interact with the area. A large pergola was installed to create an additional external seating zone that is a little more private. 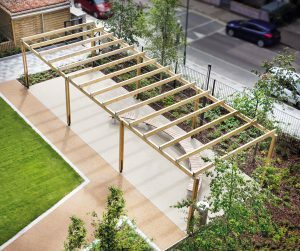 The timber pergola will naturally blend into its surroundings as the planting scheme grows around and evolves the structure to provide more shade and privacy. 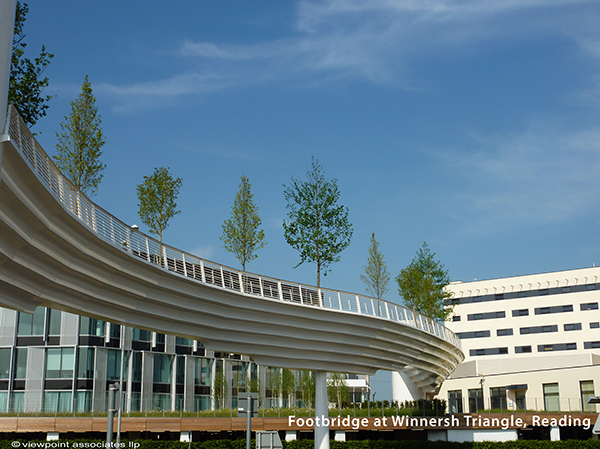 The street furniture package works alongside the building and creates a functional external solution, whilst never compromising the high-quality design standard of this urban village.